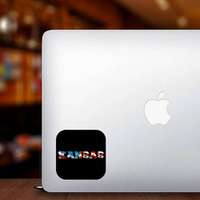 Our long-lasting printed stickers are easy to apply and made from thick, high-quality vinyl intended for outdoor use. 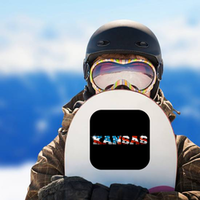 Kansas US Flag Stickers are weatherproof and can adhere to glass, plaster, wood, tile, plastics, metal and any other non-greasy, smooth surface. 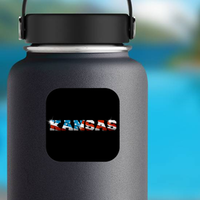 Order your Kansas US Flag Sticker online today! 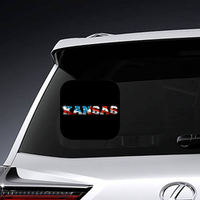 Perfect for any car or window, our Kansas US Flag Sticker is printed on high-quality, weatherproof vinyl with vibrant colors that last up to 5 years. 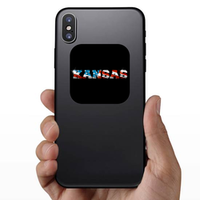 The Kansas US Flag Sticker comes in multiple sizes, perfect for your phone, laptop, or car window! These stickers will adhere to any smooth surface and won't leave residue behind when removed. 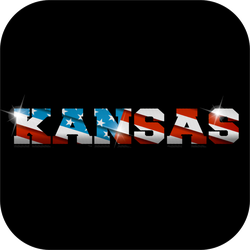 Order your Kansas US Flag Sticker today!